I love teaching. It's always been a huge part of what I do and I've spent a lot of time thinking about it, studying about it and doing it! My MA thesis, to be academic for a moment, called“An Investigation into Motivation and Practice with Reference to School Guitar Teaching” was published by EGTA (European Guitar Teachers Association) in 1996/97. It has been a passion to promote guitar playing in schools, both as a solo and ensemble instrument. I adopt a student centred approach and try to be the most effective teacher I can be for every person who comes through the door and wants to learn guitar. I've benefitted tremendously from meeting and working with people from many walks of life and backgrounds and enjoy working with all age groups and abilities. Currently I teach at The Bishop's Stortford College and St Cedd's School in Chelmsford. Pupils can enter for music examinations if they wish and I use The Associated Board of the Royal Schools of Music and Trinity College London syllabi. I also teach privately. Grade 8 - Steven Watson (occasional adult student) DISTINCTION! The lessons are fantastic; Raghav (age 8) looks forward to his guitar lessons every week and spends most of his free time practising the guitar at home. His interest in this instrument is all down to the way you teach it. Thank you for making this experience such a joy for Raghav-and for us! Thinking of buying a new guitar? The guitar you have may not give you the sound or the joy you're looking for when you push the string! 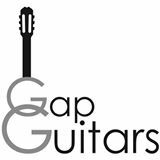 John Draper at gapguitars stocks a range of quality instruments for the aspiring player and is easily found just off the M1 near Northampton. Check out his instruments and discover the amazing world of classical guitars! The Spanish Guitar Centre Nottingham is a great place for finding and ordering guitar music as well as being a wonderful guitar shop to browse around.